With smartphones and the sms lingo, languages seem to be dying. English was supposed to be dominating all languages, but with the advent of sms even English is slowly getting killed one word at a time. In these trying times, the worst obsession anyone can have is being a Grammar Geek and getting offended by every small and big mistake they do out there! But can the grammar nerds help? Is it really so difficult? 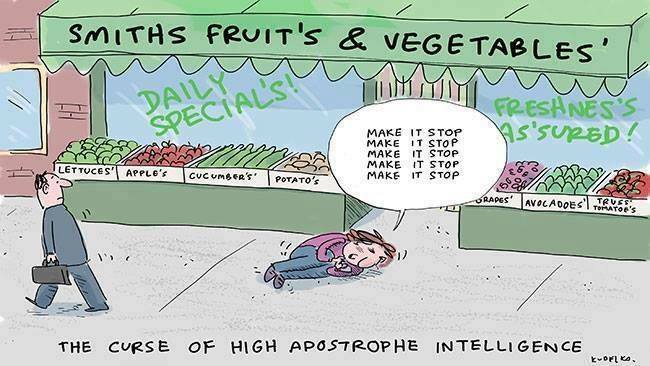 There is a difference between a plural noun and an apostrophe s. Don’t use an apostrophe where it is not required. ‘The monkey’s were playing around‘ is a wrong statement, people. ‘The monkeys were playing around‘ is the correct one. ‘Monkeys’ plural of monkey with no apostrophe s. PERIOD. You are the official editor and proofreader for most of your friends and family. And you know what? You do it happily, scrutinizing their every word and punctuation as if they were paying you a fortune to do the same. 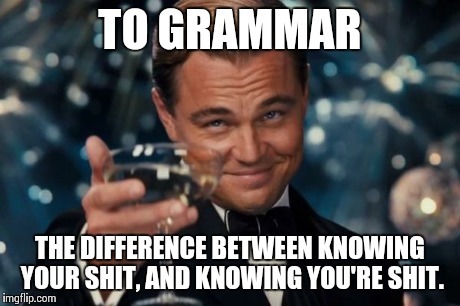 Don’t deny it, it just makes you happy when someone asks for Grammar help! 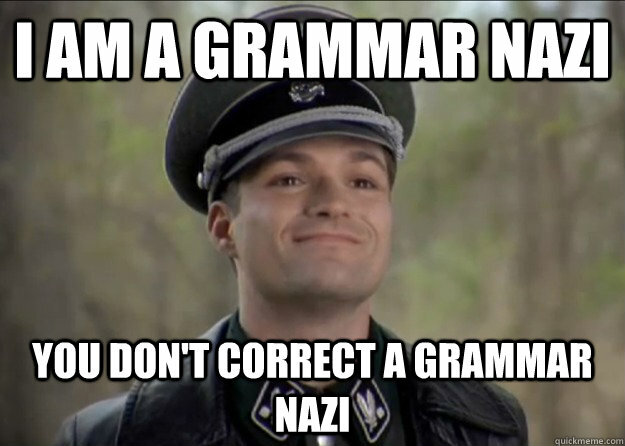 It is the most common grammar slaughter people do in their writings. And it irks you to no bounds. What makes you cringe even further is that after explaining them the difference, they STILL do the same goddamn mistake! Remember all those dates which turned sour on the wrong usage of your and you’re. 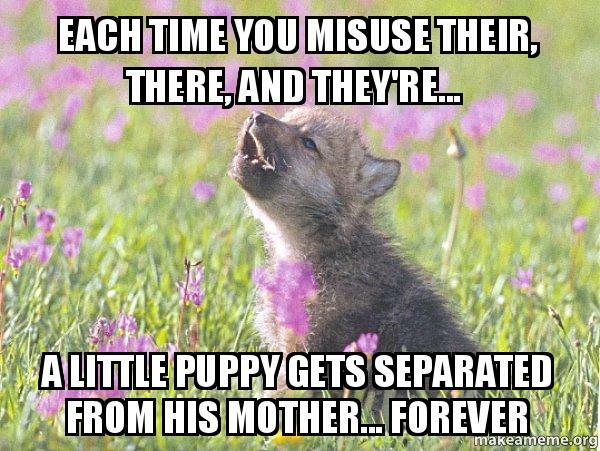 Or the unnecessary usage of commas in the texts. We hear you people! 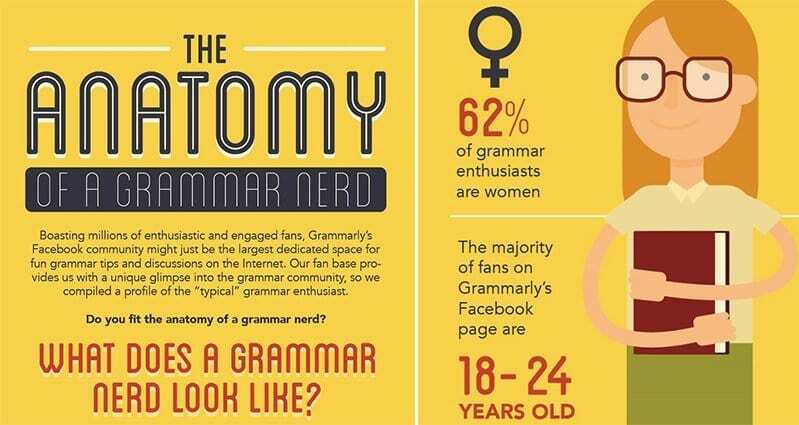 Finding the right fit for your grammar geekiness is next to impossible! 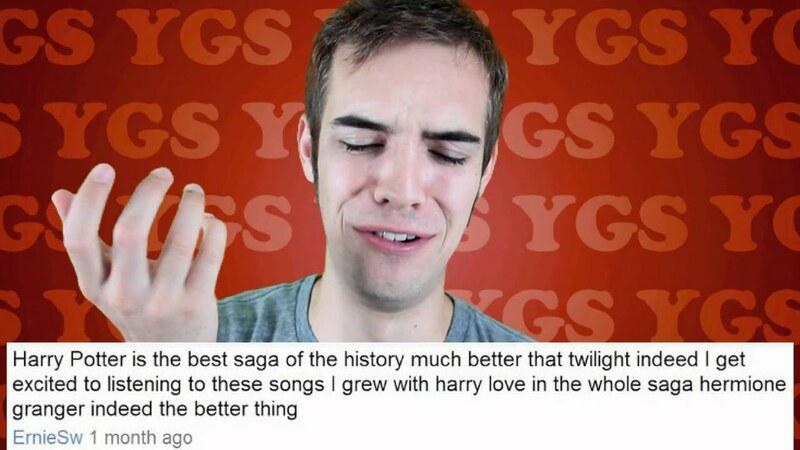 Literally EVERYONE. Sometimes loud, sometimes silently. It is just in your blood. You can’t let go off it. People ask you questions like, “How do you know all that?” or “Seriously, do you really exist?” They cannot fathom that grammar nerds like you still exist in today’s world. You know someone is angry ‘with’ you and not ‘on’ you. You know it is ‘Nora and I‘ and not ‘Me and Nora’. You know those rules and their exceptions buddy! Actually you love it and take it as a compliment. 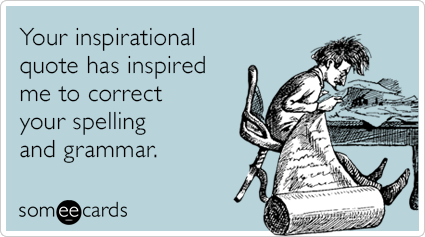 #10 Because Grammar just makes you Happy and you are proud to be a Grammar Geek! Grammar makes you joyful! Isn’t that the truth? My friend, take pride in your way with words! It’s rare and the world needs you! Be proud being the #grammarnerdgod or #grammarnerdgoddess! Share it with your Grammar Geek friends. Let us know your feelings about being a Grammar Geek in comments below.